The Digital Opportunity Channel is a joint venture between two international organizations, OneWorld and Digital Divide Network, aimed at promoting discussion about the use of information technologies to encourage sustainable human development and reduce poverty. The website is maintained by the OneWorld International Governance Group (IGG) that includes members from around the world. The website represents a helpful source of information for researchers interested in global development and digital divide that can find here news updates and resources on e-government, governance and, more in general, about Icts impact on politics and society. 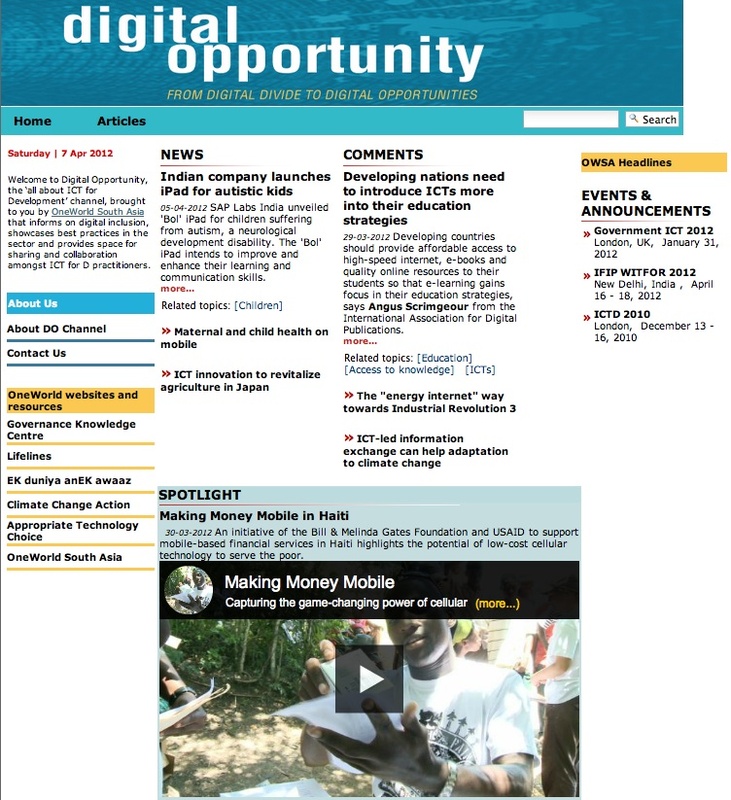 The website offers free access service to current news on digital opportunities providing also research reports and papers in pdf format and discussion forums. Although easy to navigate and search – also thanks to an extremely sophisticated search engine and two browsing modes, by topic or country – the webpages information density may prove sometimes intimidating for the average user. this subcategory refers to major educational institutions active in providing e-learning courses/degrees as well as information about on-line teaching methodologies and technological platforms. As it is the case with PolitikON, a German partnership of several universities to provide courses content, learning units and modules, created in cooperation with the German Political Science Association.